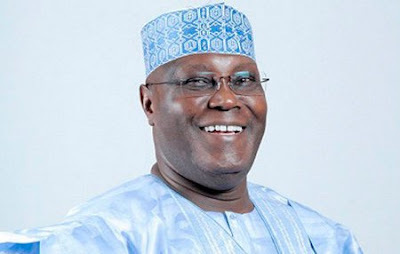 Zikist-Buharist Movement (ZBM), a group rooting for the return of President Muhammadu Buhari of All Progressives Congress (APC) in 2019, has dismissed the manifesto of the Presidential candidate of opposition People’s Democratic Party (PDP), Alhaji Atiku Abubakar. Atiku had on Monday via facebook and twitter unveiled his four-point agenda manifesto/policy document which promotes restructuring, privatization, job creation, infrastructure development and poverty eradication. Reacting in a statement in Enugu on Tuesday, ZBM cautioned Nigerians to be wary of Atiku’s demagoguery. In the statement signed by Stanley Ohajuruka and Godwin Onwusi, Zonal Coordinator and Acting Secretary respectively, the group warned Nigerians not to allow Atiku’s demagoguery to drift the country back to the era of squandermania. The statement read in part: “Our fear is that his manifesto glitters with restructuring and privatization but the sage says that ‘all that glitters are not gold’. We therefore appeal to Nigerians not to allow demagoguery to drift us back to the loathed era of Squandermania. The main ingredients of Restructuring ZBM submit cannot be done with Fiat-Executive-Order. It must be by consensus as approximated by Section 9 of the 1999 Constitution of the Federal Republic of Nigeria. To work we recommend persuasion for ownership by majority, not propaganda. “For we are at a loss how best to be happier tomorrow, to create jobs and build a modern economy, but investing hugely in critical infrastructure which the Buhari’s Rails, Roads, Agriculture and Power (RRAP) Projects – 5,000 kilometers of federal roads, 5,000 kilometers of standard gauge rail lines, 5,000 megawatts of electricity and self sufficiency in food production, is executing and wants to take to the Next Level. “It is on record that Buhari regime inherited 345 uncompleted federal roads and despite fall in oil revenue, had invested over N2 trillion in critical infrastructure, embarked on social safety net and utilized over N2 trillion to bail out states from salary and pension arrears, abandoned when the former Minister of Finance, Dr Mrs Ngozi Okonjo-Iweala bemoaned that, “whoever wins in 2015 will never find it easy to govern, for I told them to save ahead of eventualities, but Jonathan had no political will to do so and that is the reason why we are in crisis, because we squandered our boom,” ZMB stated. On the vexed issue of privatization, ZMB raised a poser: “As a One who was in charge when some of these roads and other projects were abandoned, may we ask His Excellency Atiku Abubakar, his scorecard as de facto president and chairman of National Council on Privatization (NCP), when Chief Olusegun Obasanjo then president was globetrotting between 1999 and 2003 and delegated enormous powers to him? ZMB made it clear that the outcome of the mismanaged state owned enterprises of the yore does not in actual fact elicit its support in the proposal by Atiku to privatise the Nigeria National Petroleum Corporation (NNPC), but rather, it supports the war against corruption, so as to avoid the paradox of selling state owned enterprises on one hand to cronies and using public fund on the other hand to shore up failed cronies enterprises, which led to the over N5 trillion which AMCON was owing the citizenry. 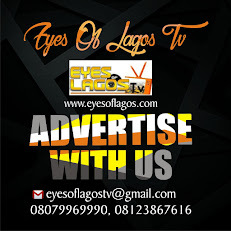 The group insisted that it cannot trust Alhaji Atiku who flagrantly jettisoned the great Nigeria media, event managers, transporters, food vendors among others, by climbing skyward to launch his demagoguery campaign in the Social Media via Tweeter and Facebook. “ZBM had searched for any page where TheAtiku Plan mentioned war against corruption, and couldn’t find any; which means that the plan placed no premium on the menace of corruption and how it underdeveloped our dear country. In sum, it is the considered view of ZBM that yesterday is today’s architecture. Accordingly the 2019 presidential electoral contest is a two horse race, between promoter of squandermania or share the money syndrome and promoter of prudence of slow and steady growth. Beware of the era of squandermania.” ZBM submitted.